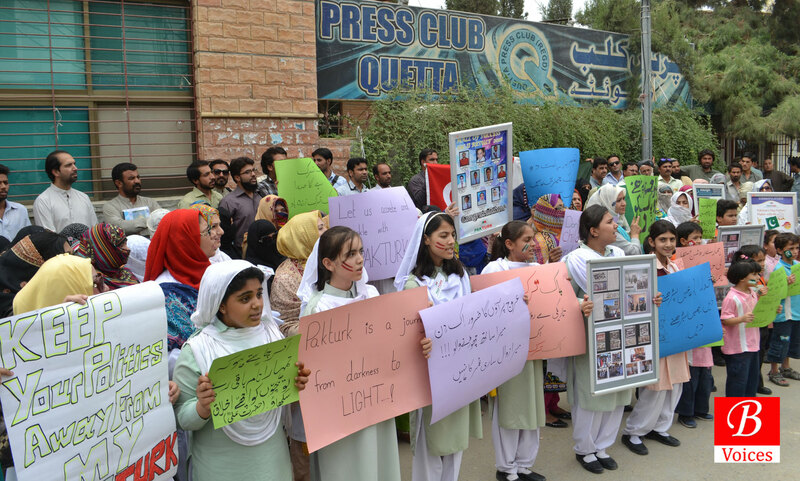 Quetta: A protest demonstration was carried out against possible closure of Pak-Turk International Schools, on Thursday. 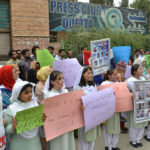 Protest demonstration was carried outside Quetta Press Club which was attended by teachers and parents of students in large numbers. Pak-Turk International School chain in Pakistan was established 21 years ago. Today, over 10,000 students study in these schools. Pak-Turk Schools are properties of a local foundation and there are 1,200 local and 134 Turkish teachers working in our schools. Reportedly, Turk government has asked Pakistan to shut down all Pak-Turk Schools in Pakistan due to their affiliation with Fethullah Gulen who is blamed by Turkish government for orchestrating failed coup attempt last month. During the demonstration, Protestors chanted slogans against closure of the schools. “Leave us to go for studies, keep us away from politics,” was their main slogan. Mr. Gul Sher Baloch, a teacher in Pak-Turk School, said that we have made such a great institution after hard working. “We want to tell the politicians that we will not allow you to sacrifice our schooling system for the sake of politics,” he added. Mohammed Mohsin, a parent of student, said that this institution is working in a better way to educate the builders of future. He lamented that it is not justice with the students to close these schools. Another parent who did not want to be named said that “We will not allow anyone to destroy the future of students. “Just think about the future of more than 250 students who are receiving education in this institution on scholarships,” he urged. 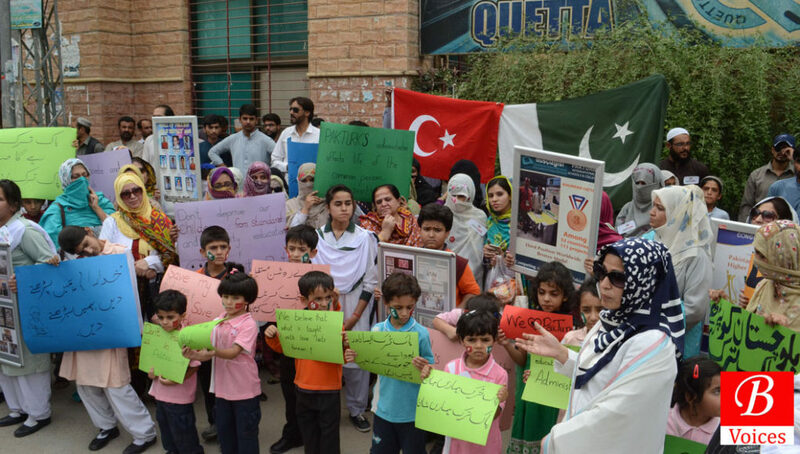 In the end, participants of the protest demonstration requested from Prime Minister of Pakistan Mian Nawaz Sharif, President and Prime Minister of Turkey and Chief Minister of Balochistan Nawab Sana Ullah Khan Zehri to prevent any sort of disruption in system of Pak-Turk International Schools. Protestors threatened for an indefinite period sit-in outside Quetta Press Club if any attempt is made to close down Pak-Turk schools. “Dismissal of Turkish teachers will decrease the educational quality of these schools and this will have a terrible effect on the education and motivation of our children,” said the statement.